Member since August 9 2012. Dr. Anant Kumar is a Fulbright Scholar and an Associate Professor at Xavier Institute of Social Service (XISS), Ranchi, Jharkhand, India. Before joining XISS, Dr Kumar worked as Program Officer with The Institute of International Education’s (IIE) Population Leadership Program in India. Dr Kumar obtained his Bachelor and Master degree in Psychology from University of Allahabad. He obtained his doctoral degree in Social Medicine and Community Health from Centre of Social Medicine and Community Heath at Jawaharlal Nehru University, New Delhi. He is associated with various organizations and professional groups and has been published in several national and international journals. 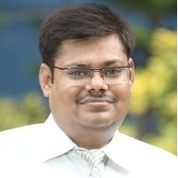 He is also on the panel of reviewers for various national and international Journals. Dr Kumar is a Member of the Board of Directors of the Canadian Coalition for Global Health Research. His areas of work and research interests are public health, women’s health, mental health, population and reproductive health, international health, public health policy and leadership.